Obesity led to 20,000 cases of kidney cancer in England in the last decade, experts claim. The incidence rate of kidney cancer has soared by 40 per cent over the same time period and the rise is expected to continue, said Cancer Research UK. About a quarter of kidney cancers are linked to excess weight and the same proportion to smoking. Dr Julie Sharp, Cancer Research UK’s head of health information, said: “It’s concerning to see kidney cancer cases rising like this. 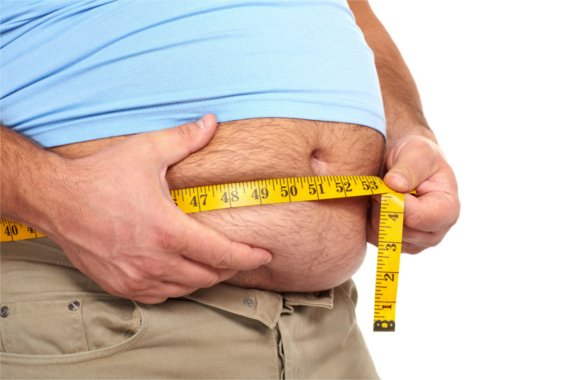 “Being overweight or obese is linked to 13 types of cancer, including kidney which is becoming more and more common. “Similar to smoking, where damage to cells builds up over time and increases the risk of cancer, damage from carrying excess weight accumulates over a person’s lifetime. Each year in the UK about 11,900 cases of kidney cancer are diagnosed and 4,300 people die from the disease. Scientists are still not sure why being overweight can lead to kidney cancer, but suspect a link with insulin. The hormone, important to the breakdown of carbohydrates and fats, is partly processed in the kidneys. Being overweight or obese can result in insulin resistance – when the body stops responding properly to insulin – which can allow insulin levels to rise. This in turn may cause cells to divide more rapidly. The number of kidney cancer cases attributable to obesity was calculated by combining population statistics with data showing the chances of overweight people developing the disease. Adam Freeman, 46, a lawyer and father of four from south London, was diagnosed with kidney cancer in 2013. After undergoing surgery to remove a kidney, he is now cancer free. “When it comes to my lifestyle, I would say that the little devil on my one shoulder won over the angel on my other, so I ducked exercise and ate badly a bit too often,” he said. “Now, since my diagnosis, I try to listen to the angel rather than the devil on my shoulder.